Why Doesn't TRS Update The Final Average Salary Monthly? As many of you are aware the Teachers' Retirement System has had a major facelift to its online access system. While some of the changes can be considered improvements, some of the other changes are not. For example, the monthly unit increments for the TRS fixed rate return is missing under the new system that was readily available on the older system. However, the most important omission in the new TRS system is the lack of an updated Final Average Salary (FAS) that was also available in the older system. Since the new TRS system has been online the FAS listed is almost two years old. Moreover, it does not include per session activities or 683 money for District 75 summer programs. Finally, it is simply calculated on base salary with no adjustments. I would think the so-called upgraded TRS system would have monthly updates of the member's FAS. Instead they rely on the members to use their online calculator to estimate their pension which requires the member to make an educated guess of what his or her FAS is. I have found the upgraded TRS online system to be disappointing and they should correct the issues I identified. At this point the new TRS online system is a work in progress. A petition to get the UFT to negotiate with the City on maternity leave was presented at the Executive Board meeting on Monday and the union leadership,while synthetic to the needs of the younger teachers, stated that the City has not been willing to offer a reasonable deal. Evidence that the union was actually telling the truth is that the City has already imposed a maternity leave program on their mangers and the managers are very unhappy at the cost of this provision. The City imposed maternity leave program cost the managers their 2017 raise of 0.47% and for senior managers they had to fork over two vacations days in exchange for the maternity leave. Interestingly, the IBO did an analysis of the City's maternity leave cost on the managers and found that the City saved $5.8 million dollars the first year. The reason was that the average age of the 8,279 managers under the program is 47 years of age and few (230 or 2.7%) were able to take advantage of the maternity leave program. The IBO stated that only a few younger managers were able to take advantage of the program while all mangers were penalized by loss of raises and the senior managers with 15 or more years of experience and averaged 55 years of age lost two vacation days for a program that they probably cannot use. When it comes to the unionized workforce, they are younger than the managers and replacing a person who takes maternity leave usually means paying overtime, rather than straight time/ Therefore, the City's terms would cost the unions too high a price for that "giveback" and so far no union has come to an agreement with the City. Until and unless the City decides that maternity leave should become a right and not a negotiated item in a contract, the prognosis for a maternity leave benefit remains bleak. For those teachers, who were on maternity leave or other unpaid status,in October of 2015, they will finally get their first lump sum payout. However, this year's lump sum payout will not be paid until October of 2018 for teachers who were on unpaid leave back in October of 2015. Therefore, each lump sum payment will be delayed one year and those teachers will not be whole until October of 2021 instead of 2020.You can thank the union leadership for screwing those teachers on unpaid leave, be it maternity leave or other unpaid leave. Maybe the union can correct the many wrongs of the 2014 contract in a new contract and one place to start is to negotiate with the City to allow UFT members who were on unpaid leave status, such as maternity leave to be made whole again by giving them the lump sum payments at the time all other active members get theirs. In my last post I listed the "dirty dozen" high schools in Queens that had the highest student vacancies after the first round of high school selection in 2017 and prominently on that list were the Renewal Schools. In fact, the top two schools were Renewal Schools. They were Long Island City High School with 570 student vacancies and John Adams with 500 student vacancies. In the top five was another two Renewal Schools, Flushing (230 vacancies) and August Martin (200 vacancies) High Schools. The large amount of student vacancies at the Renewal Schools demonstrates that fewer and fewer students are applying for these academically struggling schools with an inexperienced teaching staff. To show that the Renewal high schools have failed to attract students to their building I used the last three years of data (2015-17) of the student vacancies associated with the second round of high school choice associated with these struggling high schools. Interestingly, most of the Renewal high schools have seen their, already high student vacancy rate increase over the last three years. Long Island City, Flushing, John Adams, Pan American, and Richmond Hill shows an overall increase in student vacancies between 2015 and 2017. Both August Martin and Martin Van Buren were downsized in the last two years and that accounts for their reduction in student vacancies since they are now a much smaller school in 2017 than they were in 2015. It appears as the poor reputation of the Renewal High Schools has spread throughout the Borough of Queens, more parents and students are excluding these schools from their high school choice list and this forces the schools to either excess teachers or take the "over-the-counter-students" who are usually "high needs" with academic, behavior, or language issues. The very type of student that the struggling Renewal schools that made them what they are today. Chancellor Carmen Farina may claim that she sees the light at the end of the tunnel for the turnaround of the Renewal high schools but the light really is the oncoming locomotive about to destroy the Renewal School program as the schools continue to shed students and teachers. One of the most informative data that tells a parent and child which schools to select and which one to avoid is the amount of vacancies a school has Schools with vacancies are a warning sign that the school is not academically appropriate for an academically proficient child. While many Queens high schools still had vacancies after the first round, the largest amount of vacancies were reported at the Renewal High Schools and the schools located in Southeast Queens. The list below are the "dirty dozen" of schools that had the largest amount of vacancies and should be avoided at all costs. For all high schools in New York City ou can find the complete list for 2017 Here. Also the previous lists for 2016 and 2015 can be found Here and Here. To help you with your school selection search please read my posts about Queens high schools to avoid in 2016 and 2015 Here and Here. 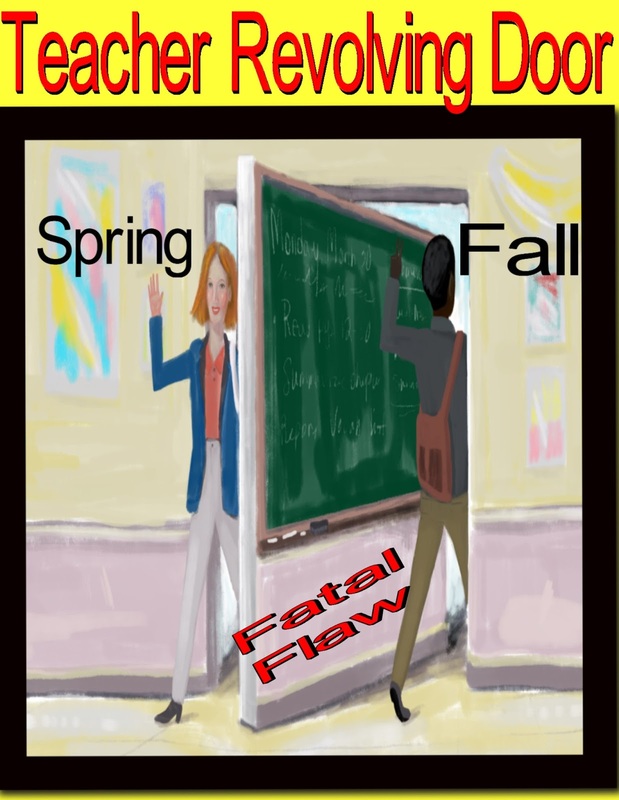 The DOE Double Standard Continues Under Carmen Farina. In today's New York Post there is an article by Susan Edelman on ex-Principal Marc Williams who resigned when investigated for a grade fixing scandal at the Secondary School of Journalism in Brooklyn. After Mr. Williams resigned as Principal , the DOE gave him a new position as a "case manager" in their Human Resources division at a salary of $127,443. Unbelievable but true, despite a new Mayor and Chancellor, its still business as usual at the DOE as they continue to practice their "double standard" when it comes to disciplining principals. If Mr. Williams was a teacher, he would be subject to 3020-a termination charges and if he resigned, the DOE would place on his file "a do not hire" flag. However, Mr. Williams was a Principal and was given a new position at a salary that is higher than the top rated senior teacher. When will the "double standard" when it comes to disciplining principals end? I'm certainly not holding my breath waiting for that day as long as the Bloomberg/Klein ideology continues to permeate the halls of Tweed as Chancellor Carmen Farina retained 80% of the Bloomberg policymakers rather than "clean house" like she needed to do..
Chasing Yield - Why The TRS Fixed Income Fund Is Unbeatable. We have been in a low interest rate environment since 1990 and the average inflation rate since 1990 is only 2.51% (Historically, since 1914, the average inflation rate is 3.34%). Just ask your parents and grandparents how painful it is for them as they only get between 1% to 1.5% on a multi-year CD. Money Market and short-term Bond funds are no better, paying a meager 1% and 1.2% on an annual basis. What does the risk adverse do to gain extra yield without taking a risk on the violable equity market? For some people, they chase yield by buying international debt. The problem is that the stable western countries like Europe, Japan, South Korea, Israel, and Canada pay yields of between 0.5% and 1.5%, not a good substitute to U.S. based instruments. That means that investors who want more yields have to stick their toes into the Emerging Market debt market. There you can find yields of between 4% and 26% and most funds average about 6%. The problem is that the higher the yield, the more unstable the country is and a greater chance of default. For example, Venezuela bonds gives the investor 26% yield but has had trouble paying the interest and most experts expect them to default. If that happens, most Emerging Market debt funds will drop significantly as the country's bonds make up 4% of the market. Moreover the 26% yield is almost 25% of the total yield of the Emerging Market debt funds. Therefore, the funds total yield of around 6% would drop to 4.5%! Listed below are some of the bond yields for Emerging Market debt countries included in Mutual Funds and ETFs.s. The four countries in boldface are known as the BRIC countries and averages a yield of 6.9% and can make up the major portion of some of the Emerging Market debt funds. Most funds do not have Iranian bonds due to U.S. sanctions. As one can see the more politically unstable the country is, the higher the yield as there is real risk of the country defaulting. In fact, its not uncommon for the Emerging Market debt funds to drop significantly as one or more countries fail to pay their debt and default. Furthermore, the fees range from almost 1% to 2% annually. 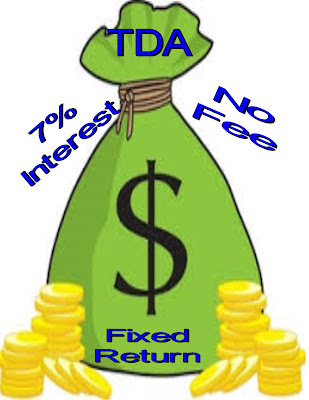 By contrast our TRS fixed income fund gives up a guaranteed 7% interest with no risk and no fees. For non-UFT members its 8.25%. Now that the TRS is eliminating their Bond fund, a real dog, please transfer the money into the fixed income fund rather than the balanced fund that offers no real advantage in a low interest rate environment and contains risk that defeats the purpose of the risk adverse investor.. Veteran Teachers Beware, Administrators Are Using Charlotte Danielson As A Weapon To Terminate You. It appears to me that school administrators have been told that they must stay within the recession era budgets that the DOE has imposed on its public schools. Most schools are only receiving 90% of their fair funding and principals are trying various cost saving strategies to stretch their budget. One of the favorite tactics, especially with the Leadership Academy principals, are to target veteran teachers and either force them to retire or charge them with incompetence or misconduct in their 3020-a hearing. The weapon of choice is Charlotte Dainelson that allows school administrators to unfairly evaluate teachers based upon 8 components that can be easily manipulated to make the teacher look "ineffective". A case in point is the saga of teacher, I'll call him Mr, Q, who was terminated, despite the fact he only had one "ineffective " rating. Mr. Q was a veteran teacher who worked at a transfer school in Brooklyn. People familiar with transfer high schools know that it's for over aged students (16 to 21 year old) who have been removed from their previous school(s). Many of these students just want a minimum passing grade of 65%, while during little or no work. Passing a Regents is not their priority. Therefore, transfer high schools do poorly, compared to their State peers, who don't have these transfer schools. The result is that even the best teachers can only expected a "developing" rating in their MOSL. 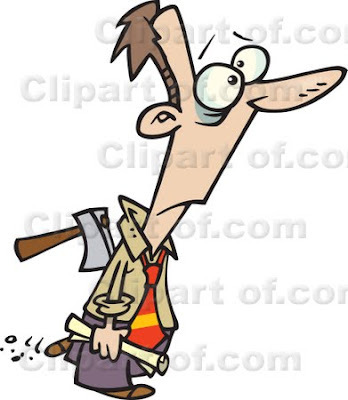 Back to Mr. Q, he received a "developing" rating in 2013-14 school year and an "ineffective" rating the following year. Despite the union's claim that it takes two consecutive "ineffective" ratings to be charged under 3020-a, the truth is otherwise. In the last year I know of two other veteran teachers who were charged under section 3020-a with only one "ineffective" rating. Mr. Q's 3020-a arbitrator terminated Mr. Q in part, because he failed to differentiate his lesson to the individual needs of the student. Moreover, the arbitrator claimed Mr.Q failed to take advantage of the extensive professional development opportunities he was afforded..
Charlotte Dainelson is not a simple evaluation tool but a weapon to destroy the careers of veteran teachers and that's how I see it. The DOE's Education On The Cheap Policy Academically Shortchanges The Students. Over the years and certainly since the recession of 2008 the New York City Department Of Education (DOE) has shortchanged the schools with reduced budgets and lack of resources. Worse, the DOE reuses to fund the schools based on their own Fair Student Funding, with most schools receiving only 90% of what they are allocated for. The result is that New York City's Public School students suffer academically due to the DOE's education on the cheap policy. In my travels from school to school as an ATR I have noticed the many cost saving strategies school principals use to conserve resources. First, the fair student funding formula incentivizes principals to :hire the cheapest and not the best teachers" for their school. 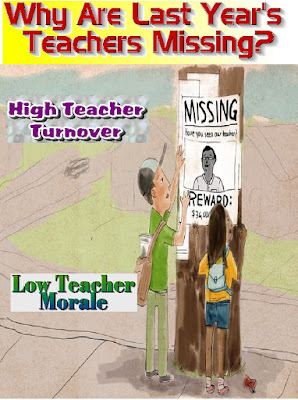 With "newbie teachers" who must learn classroom management skills, develop curriculum knowledge and master the Art and Science of teaching, students are simply guinea pigs to these teacher's steep learning curve and suffer academically. Second, many of the Bloomberg small schools have a limited selection of courses and teachers. Electives are few and extracurricular activities are limited or non-existent Quite a few students complain about the lack of electives. 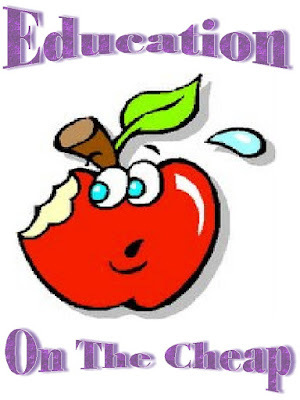 Many schools only have one teacher teaching a subject and if a problem develops between a student and either a teacher or another student in the class, there is no option to put him or her into another class of the same subject. Third, most schools no longer give Music as a course because of the cost of instruments and their upkeep. The ATR pool is full of excessed Music teachers as the tight budgets makes Music a prime candidate to be eliminated from the school course selection, especially in the small schools. The same goes for Health teachers as schools rather use a Physical Education teacher to teach Health than hire a certified Health teacher. Fourth, most schools have reduced Science to a 4 to 1 program rather than the recommended 5 to 1 program for Regents level Science. The elimination of the extra day allows schools to reduce their Science teaching staff. However, the result has been a lowering of Regents passing rates and scores. 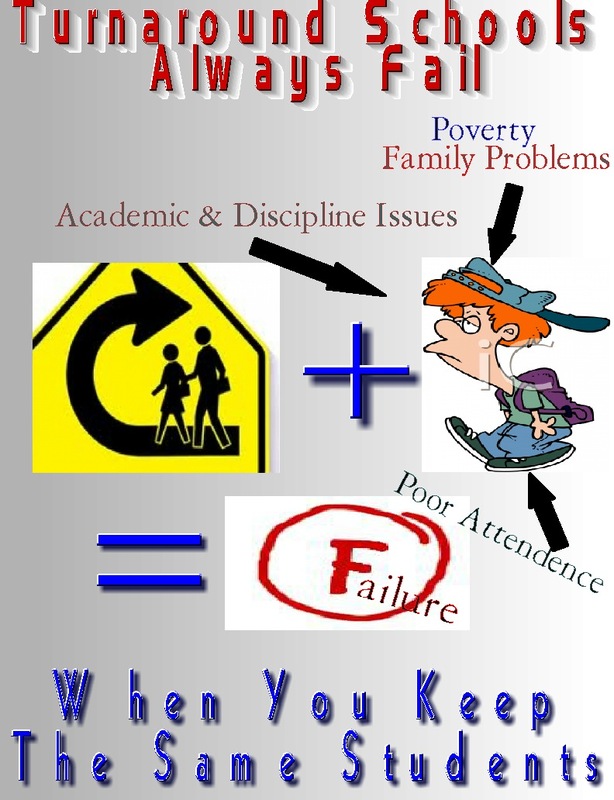 While it saves the schools money it hurts student academic achievement. Only the DOE in New York State allows schools to use uncertified teachers for Regents Earth Science is just another example of putting budget first over the academic needs of the students. Finally, the DOE encouraged discrimination against veteran teachers has resulted in many highly experienced teachers tobe targeted and retire early which are then replaced by untested inexperienced teachers who usually leave their first hiring school within five years (about 80% according to a Chicago study) and leave the system.system entirely (50%). The DOE's education on the cheap policy continues as real student academic achievement is a poor second to budget shenanigans by school principals and encouraged by the DOE. This allows the DOE to keep throwing money at their bloated Central Bureaucracy as the schools starve for resources and with tight budgets that do an injustice to their students. 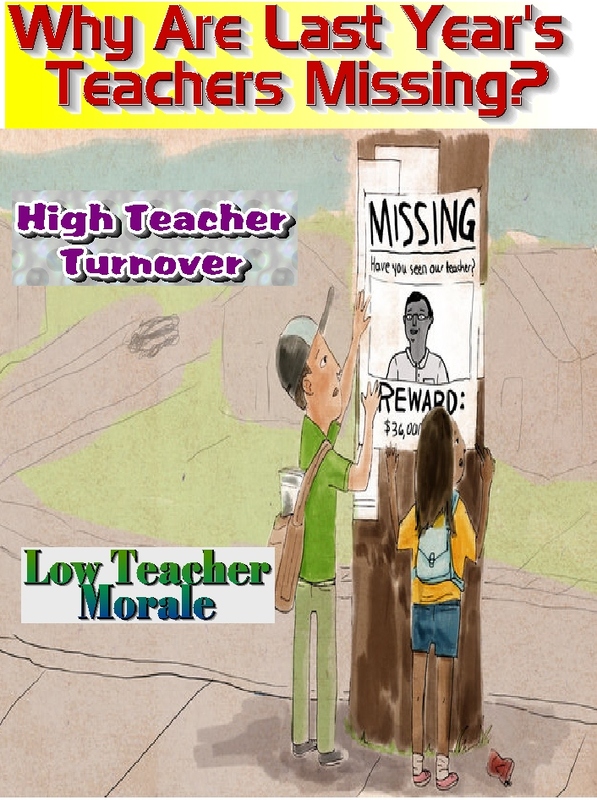 Lately, the news media has been on a crusade about "bad teachers", especially the ATRs. Be it Charkbeat, Daily News, Post,Times, or the Wall Street Journal, the one-sided articles blasting teachers appears all the rage. All of a sudden the old Klein era Tweedies have articles that blast teachers. Be it the insufferable Eric Nadeelstern, The lying Daniel Weisberg, or the sleazy Marc Sternberg. Let's not forget about clueless patents like Nicole Thomas also. Maybe if it was just confined to the education deformer groups and brainwashed parents, I could accept it. However, Our own Chancellor, Carmen Farina, tells new teachers to stay away from the teacher lounge and don't listen to those veteran teachers and she admits she visits schools to ferret out bad teachers and pushes principals to start a paper trail to terminate them. Even Governor Andrew Cuomo revamped the teacher evaluation system so that more teachers can be rated "ineffective" and the burden of proof was shifted to the teacher at their 3020-a hearing. Instead of appreciating their veteran teachers, the education deformers, and their media and political allies rather continue the narrative of the bad teacher when the truth is the continued demonizing of teachers and their profession will simply hasten the day when we experience a teacher shortage as few college students will choose education, due to low morale, high teacher turnover, inferior pay, and lack of respect. The result is a lower student academic achievement and a continue3d achievement gap between different cohorts. The ATR Incentive Failed To Achieve Its Goal To Drastically Reduce The ATR Pool. 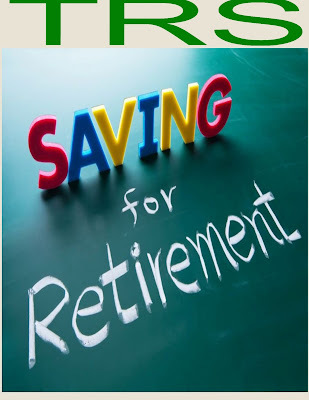 Moreover, on any given year approximately 60 to 70 ATRs retire or resign, either due to age, years of service, or under 3020-a charges. If we were to exclude those ATRs who were leaving anyway then the ATR incentive only encouraged 70 ATRs to take the incentive, who may have otherwise stayed. That is only 5% of the ATR pool. Finally, because of the union negotiated contract that allows the DOE not to pay the teacher his or her lump sum payments if the 3020-a arbitrator finds the educator guilty of termination, also encouraged some teachers to take the incentive, rather than risk losing up to $50,000 dollars of the money still owed to them. While our union leadership will continue to claim a victory, when it came to the ATR incentive. The fact is the ATR incentive was a failure since only between 5% and 10% of the educators in the ATR pool actually took it. Maybe the next ATR incentive will be a year's salary and then you might see many in the ATR pool take the bait and take the money and run. When Will The Union Sue The DOE On Their Scarlet Letter? Back when Dennis Walcott became Chancellor, he decided that all teachers who had a substantiated OSI or SCI investigation, would have a discipline flag attached to their file. This flag alerted principals not to hire these teachers. It didn't matter that many of these teachers chose to go through their 3020-a hearings and the independent State arbitrator found them innocent of the DOE charges that were based upon the OSI or SCI report. For example if OSI substantiated a corporal punishment charge and the arbitrator found no corporal punishment or if SCI substantiated sexual misconduct,but the arbitrator finds no sexual misconduct. Why does the DOE act as if the teacher is still guilty of the charges that were dismissed by the arbitrator? Both corporal punishment and sexual misconduct are termination offenses and arbitrators are automatically required to terminate the teacher. However, charging a teacher with these serious offenses is not the same as be guilty of the charges. The arbitrator must hear all the relevant evidence and any hearsay must be supported. Teachers who are accused of these serious charges and are tenured can ask for an independent arbitrator to hear all the relevant evidence and make their decision based upon the preponderance of the relevant evidence. Here are two examples of the DOE charging teachers with serious charges only to find the charges didn't stick once the evidence was presented and scrutinized.. Example 1: A Social Studies teacher was accused of slamming his door on the hand of a student that broke the window in the door. The student had a bloody hand and went to the school nurse. The Principal reported it and OSI interviewed the student and, as it turned out a couple of his friends, as well as the school nurse. The teacher was charged with corporal punishment and the case went to the arbitrator. In the 3020-a hearing it came out that some other students in the teacher's class also saw the incident and told the teacher's attorney that the teacher didn't slam the door on the student's hand but after the heated exchange between the teacher and the student, as the teacher closed the door, the student took his fist and slammed the door window, which caused the bloody hand. Interestingly, there was a hallway camera which showed a blurry picture of the incident but tended to support what the teacher had claimed. 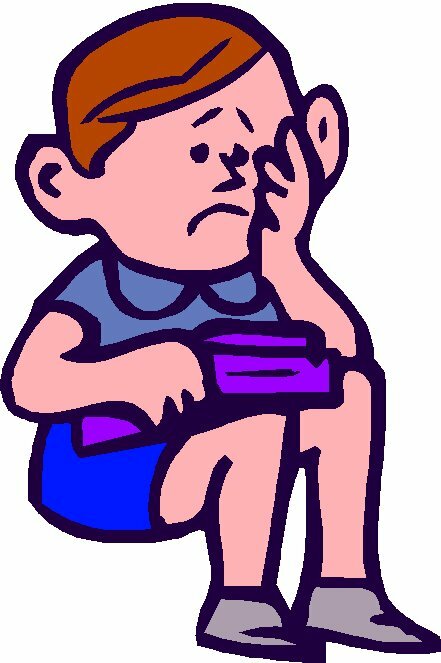 The arbitrator dismissed the corporal punishment charge but gave the teacher a small fine for not deescalating the altercation. Yet the teacher has a flag on his file for an accusation that wasn't true. Example 2: A Science teacher was accessed of sexual misconduct by allegedly propositioning a student by showing too much interest in getting her to pass the class, It turned out that the student was having personal problems and that day was a :bad day" Therefore, the student told the Principal that the teacher propositioned her, SCI spoke to the student and also found from other students that the teacher was paying her more attention then most of the students. The result was that SCI substantiated the charge. During the 3020-a hearing the student reluctantly came in and admitted that the teacher did not proposition her but didn't like the intrusive manner of the teacher. That teacher was found innocent of the sexual misconduct charge but also received a small fine for making the student uncomfortable. This teacher also has a flag on their file. A pro-active union would never allow the administration to continue to punish teachers for charges that they were found innocent of Yet our disconnected union leadership not only failed to file a lawsuit against the DOE's unfair policy that assumes teachers are guilty, even when the arbitrator found otherwise. but agreed to contract language that made hundreds of teachers ineligible to fill vacancies permanently. 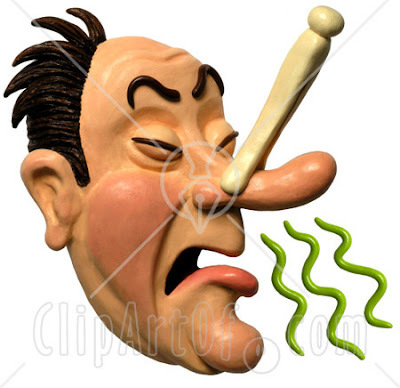 The union leadership should be ashamed of themselves for sacrificing their members to curry favor with Tweed. 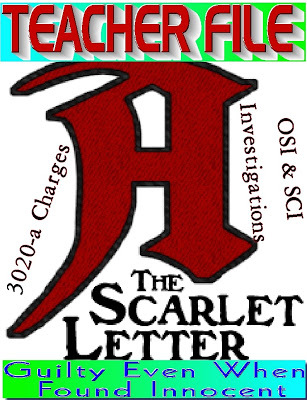 It's unconscionable that our union allows innocent teachers to be punished year after year with the Scarlet Letter. For Newbie Teachers Its Sink Or Swim With No Lifeguard To Save Them. 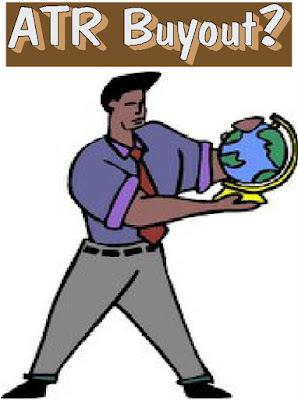 The DOE has empowered principals to hire who they please and even with the elimination of the useless and money sucking Children First Networks, Superintendents have so far failed to oversee school hiring to ensure that all students have a certified teacher in each subject area. The DOE policies like Fair Student Funding, tight school budgets, and the use of Danielson as a weapon against veteran teachers have resulted in many schools hiring "the cheapest and not the best teachers" for their schools. The result is a lack ofr veteran mentors for this inexperienced staff.. In many schools, the teaching staff is composed of young and inexperienced teachers and there are few veteran teachers to mentor or guide these inexperienced teachers on the skills necessary to survive in the New York City classroom. When I started teaching, I was mentored by a senior Science teacher and in my first couple of years, as I struggled and ready to quit, many veteran teachers dropped in to provide advice and support. The teacher room was a godsend as I could ask the veteran teachers questions and get answers on classroom management skills, pedagogy, and tap their extensive knowledge of the different teaching techniques that worked for them and of course, the ones that did not. Having a veteran staff was invaluable to a "newbie" like me and helped me become a better teacher and stay in the profession. 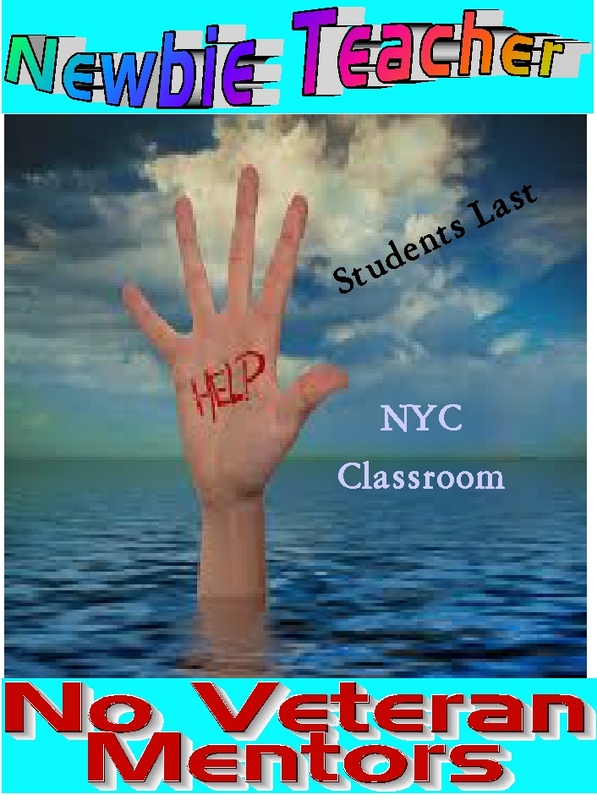 By contrast, the lack of veteran teachers in the schools means that new teachers are thrown into the New York City classroom and told its "sink or swim". Well, without veteran teachers mentoring the "newbies" ,many sink. 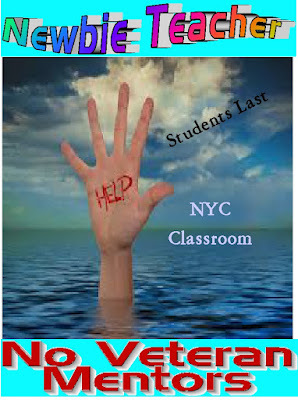 Meaning they leave the NYC classroom and maybe even the teaching profession. While novice doctors and lawyers are mentored by a senior colleague and don't operate or appear in court without first, assisting the veteran for a year or more so as to gain the necessary experience and confidence to eventually learn their craft Nobody in their right mind would want a "newbie" doctor to operate on them or a "newbie" lawyer to defend them in court. Yet, in NYC far too many "newbie" teachers are thrown into the classroom without the proper tools and subject to a steep learning curve that makes guinea pigs out of our children. No wonder we have a low "college and career readiness" rate. The bottom line, the NYC school system has too many inexperienced teachers and with fewer and fewer veteran teachers to mentor them. Therefore,too many of them sink and take student academic achievement with them because the lifeguard, in the form of the veteran teacher is no longer on duty to save them. A Utah High School Fines Students Who Show Up Late For Class. 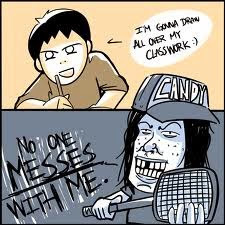 Most schools I have been in the last decade have a similar problem. Students taking their ever loving time to show up for class. Even in the small schools, students can't seem to move quickly enough from one classroom to the next to make it on time to the classroom, despite being given 3 to 5 minutes to do so. Well one Utah high school has decided to do something about it. Students that show up late to class during the school day are fined. The first offense is a warning. The second offense cost the student $3 and every following lateness cost the student $5. Students that cannot afford the fines will be given lunch detention and clean-up duties. 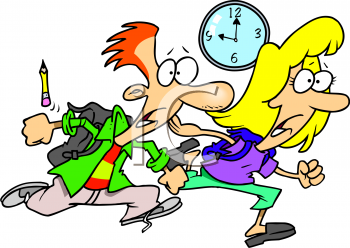 Interestingly, during the first two weeks of the school's lateness policy saw students getting to class on time and the hallways were empty as the late bell rang. So far not one student has been fined and only a few warnings have been issued, You can read the story Here. Obviously parents and students were not too happy with the school's lateness policy and believe its too draconian. However, school staff and administration are supportive of the lateness policy and the potential monetary penalty has, so far, curbed student lateness and added more instruction time to the classroom. It will be interesting if the policy lasts the year and how it affects student academic achievement. Why NYC High School Students Have Terrible College And Career Readiness Rates. There is no secret that the ever rising high school graduation rate does not result in increasing the college and career readiness rates that see 78% of high school graduates forced to take remedial courses in college. The graduation rate increases every year and is now 72%. However, the career and college readiness rates are stuck at 36% and if you excluded the screened and specialized high schools, its in the 20% range. Here are some extreme examples. 80% of a student's academic growth can be attributed to the social-economic factors. They are the child's family, community, and income. Poor urban school districts and New York City are no exception, suffer from academic differences and struggle in college and a career as an adult. New York City has the largest class sizes in the State and the DOE uses class size reduction funds to fund their own pet projects. Class sizes have increased since 2008 and the DOE only funds the schools at 90% of their fair funding. By contrast the DOE budget increases every year from 23.2 billion in 2014 to 29.2 billion dollars this school year. A 22% increase! The DOE has installed policies that incentivizes principals to hire "the cheapest and not the best" teachers for their school. The result is the schools hire "newbie" teachers who have a steep learning curve and 80% leave their first school by year three. Not good for a stable educational environment. This DOE policy is known as "fair student funding" that's school-based and not fair whatsoever.. The use of Danielson as an evaluation toll and is used as a weapon against teachers pushes far too many teachers out of the City school system to pursue better opportunities in the suburbs and more respect in office work. The DOE allows high schools to manipulate the system by reducing Science from six days to five and physical education to three days from five. Moreover, "credit recovery", grade changing, and scholarship requirements on teachers is really academic fraud. Outside New York City most principals were long-term educators. However, in the New York City schools over 20% of the Principals are from the Leadership Academy and many have little or no classroom experience as a teacher. Finally, the Chancellor has discontinued the program but the damage has been done as many schools suffer from poor leadership, vindictive actions, especially against outspoken veteran teachers, and questionable academic policies. 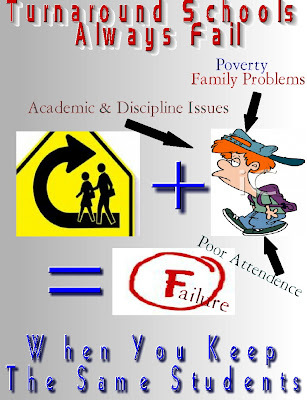 The bottom line is until all the above issues are resolved, real student academic achievement is simply an illusion.